Nursing Care is a profession which deals with the study of different types in which a patient care can be done, in order to overcome the illness and maintain the good health. Nursing is quite discrete from other health cares and it is present in all over the world. The role of nurse is to cure the disease with quality medication and taking care of the patient. The nurses mainly take special care on aspects like vaccination programme and specific treatment practices, personal and community hygiene, for the profit of entire population. Nursing Care Journal is interested in the special fields related to the topics of this Journal. Nursing care Journal discusses the latest research innovations and important developments in this field. Health Care is the improvement of health by diagnosis illness, prevention, injury treatment, treatment of disease and other mental and physical impairments in the human beings. This includes primary care, secondary care and tertiary care. Health Care Research invites an article to publish in the Journal of Nursing and Health Care. Nursing and Health Care journal offers a stage in Health care Research and related subjects. Journal accepts leading forefront original research papers, review manuscripts, case reports and commentary in the field. Our target audience, readers and contributors are worldwide. Nursing and Health Care accepts all the topics related to relational nursing. The word nurse is originated from the Latin word nutria which means nourish in 16th century; Buddhist & Indian rulers build the hospitals for the route travelers. In earlier days nurses dedicate their service to all the religious ethics. In Europe it took until 20th century for nursing to become a secular profession. Some of the hospitals maintained training programs, libraries, and doctors complied pharmacological and the medical studies in manuscripts. Now-a-days nurses are taking care in various aspects as a profession. Lukasz Szarpak is a President in International Institute of Rescue Research and Education under the Department of Cardiosurgery and Transplantology Cardinal Wyszynski in National Institute of Cardiology Warsaw, Poland. Hamid Reza Khankeh is an Associate Professor under the Department of Health in Disasters and Emergencies in the University of Social Welfare and Rehabilitation Sciences (USWR) in Iran. Rupesh Kumar Gautam is an Associate Professor under the Department of Pharmacology in the ADINA Institute of Pharmaceutical Sciences in India. Nursing and Health Care is an open access journal with rapid publication process, high quality manuscripts with innovative research which covers all the aspects of Nursing and Health Care. This Journal accepts original Research Articles, Review Articles, Case Reports, Mini Reviews, Rapid Communication, Opinions and Editorials on all the topics of nursing and health care. Relational Practice and not limited to above areas. Malnutrition is a most commonly seen in poor and low income countries, children and old age people and in this condition this disease leads to reduce the quality of life and also leading to mortality. Journal of Nursing and Health Care invites you to submit manuscripts related to Malnutrition. We at Edelweiss publications support the researchers who work and publish manuscripts on Malnutrition. Malnutrition is generally used to refer the under nutritional child/person, where a particular person is not having sufficient proteins, calories. Malnutrition is often goes unrecognized and untreated among most of the individuals around the world. Journal of Nursing and Health care welcomes research on Social Health. Social health includes the ability to satisfy the interpersonal relationships with others, it also includes the ability to habituate oneself to different social situations and act according to it. This is related to the day-day life situations which involves the social interaction, and the need a supported accommodation like home care. Edelweiss Publications Inc maintains the journal and promotes it around the globe. Midwifery is a profession which involves the study of postpartum period, childbirth, pregnancy and also recognized to work with necessary support for the women care and advice during pregnancy. For more information on the Midwifery you can access the articles published in Journal of Nursing and health care. Midwifery practitioners helps by reducing the difficulties in mother and child during delivery and also have some preventive measures for the vaginal delivery, this plays an important task in education and counseling, for the woman as well as for their family and their community. Nursing and Health Care provide a platform to put forth the ongoing research, review, and commentaries on Midwifery articles. Nursing and Health Care is an OpenAccess peer reviewed scientific publication encompasses the wide range of Midwifery articles. Edelweiss Publications is running this journal since three years and looking to propagate this journal among the researchers around the globe. Optometry is a health care profession which is concerned with the examination of the eyes, to detect and to treat the eyes with different visual tests by providing the correctional lenses. In some cases if necessary surgery will be done, generally we see these problems with old aged people. New researches and techniques on this topic is welcomed at Journal of Nursing and Health Care, we have strong Editorial board that has supported us to take this journal to new heights. We have rapid peer review process as this is done by editorial board members who are experts in the field. At Edelweiss Publication the journal editorial board members are given complete freedom and ask them to work with great zeal and publish the manuscripts which are good at research and introducing new techniques to world. Podiatry is the study which deals with the problems related to foot. Diagnosis of a problem in ankle and lower extremity and surgical treatment related to disorders of the foot. Podiatrists treat all the diseases which related to foot. Generally the diabetic people often suffer with diseases in foot area. Research is going on related to these diseases to avoid and give better treatment. We at journal of Nursing and Health Care welcomes case reports and research articles on Podiatry area. Edelweiss Publications will be glad to promote these researches and researchers worldwide. Journal of Nursing and Health care covers the area of radiography, all the research and reviews related to this topic is encouraged to be published in our journal. Edelweiss Publications Inc an USA based publishers supports Journal of Nursing and Health Care. Radiography is the study which deals with the imaging techniques like ultrasound, X-ray radiography, computed tomography, nuclear medicine which includes magnetic resonance imaging and positron emission tomography. The X-rays which pass through an object are captured by a detector behind the object. Manual therapy is a clinical treatment which involves the free hand technique. These are primarily utilized by occupational therapists, physical therapists, athletic trainers, physiotherapists, osteopathic physicians in order to treat the disability and musculoskeletal pain. Chiropractors deal with the treatment of spine by manual adjustment or manipulation it, practitioner is called as Chiropractor and his focus always remains on the neuromuscular disorders, he tries to diagnose and treat it. In manual therapy we can see most commonly treatment involving manipulation of muscles and kneading, joint manipulation and joint mobilization. Journal of Nursing and Health care will be glad to publish the new methods involving in Manual therapy; researchers all around the world can publish their new finding on this topic. Edelweiss Publications runs this journal. Mental Health is a psychological disorder of a person, whose behavior and emotional adjustment is lacking or not in his control. The person who is struggling with their mental health experiences anxiety, loneliness, depression, relationship problems, grief addiction, self-harm and many more. Such mental illness conditions can be treated by counseling, therapy sessions and medicines. Journal of Nursing and health care like to have research/review/case reports related to mental health, we at edelweiss publications make sure your articles reach worldwide by depositing it in different repositories and servers around the world, also get index in different indexing sites. Nursing and Health Care is a scholarly journal maintaining high standards of Health care Research. 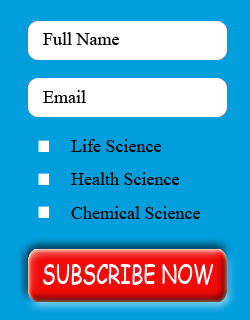 This Journal runs with scientific excellence and propagates the peer review process very quickly. Pediatric is a branch of medicine which deals with the caring of children, adolescents and infants. Pediatricians take care of children diseases they get, they try to prevent the illness and develop the strength of the patients. Generally they treat the patients with the help of vaccination. Pediatric care Research invites all the topics related to the Pediatric care. We publish the peer reviewed articles with innovational work on the topic of Pediatric care Research. Nursing and Health Care journal offers a stage for Pediatric care Research and related subjects. Journal accepts leading forefront original research papers, review manuscripts, case reports and commentary in the field. Our target audience, readers and contributors are worldwide. Critical clinical care helps the people with illness and injuries. This care treats the problems like accidents, severe breathing problems, complicated surgeries, infections. The special care which is taken to the patient whose condition is serious. The critical care is generally takes place in an intensive care unit (ICU). Critical clinical care journal invites researchers to publish new methods on critical clinical care. Critical clinical care journal undergoes rapid peer review process. We try to publish the manuscript within 4-6 weeks after submission. All the critical clinical care articles are published in Nursing and Health Care Journal. Abstract: In this essay, the concept of relational practice and its relevance to nursing will be analyzed; a personal experience of nurse-patient interaction will be described; relational practice will be applied as a lens to analyze my episode of nurse-patient interaction; other concepts, including culture and cultural safety, will be integrated into the discussion; and, finally, the implications of relational practice for my future practice will be explored. Introduction: Stress urinary incontinence represents a common but strongly underestimated health problem that affects women of all ages and severely downgrades their health related quality of life. The transobturator vaginal tape (TVT-O) approach offers long term success rates, while minimizing complications. In this study, we examined quality of life of patients suffering by stress urinary incontinence and investigated whether TVT-O procedure offers considerable benefits in patient’s quality of life after 5 years of placement. Methods and results: Women with confirmed urodynamic stress urinary incontinence that underwent TVT-O procedure were included in this prospective study. Patient’s quality of life was evaluated by using the Greek version of SF-36 preoperatively and 60 months postoperatively. The outcomes demonstrated that incontinence had significant adverse effect in patient’s quality of life. However, TVT-O procedure offers a safe and efficient treatment, substantially improving both physical and mental dimension of women’s health related quality of life (P>0.05). Discussion: Stress urinary incontinence strongly impairs women’s health related quality of life, limiting their physical activities, social function and causing emotionally imbalance. Insertion of tension free vaginal tape reverses symptoms and significantly improves all health indicators associated with patient’s health related quality of life. In our study, we demonstrate that minimal invasive surgery, by using TVT-O procedure is highly effective, in long term, in improving quality of life of women with stress urinary incontinence. Introduction: Though there are studies on the various forms of adverse birth outcomes particularly in developing countries, there is limited information on determinant maternal and fetal factors of adverse birth outcomes at Dessie referral hospital including north east Ethiopia. Objective: To assess adverse birth outcomes and associated factors among delivered mothers in Dessie referral hospital, Dessie, Ethiopia. Methods: Institutional based cross sectional study design was conducted in Dessie referral hospital from February 30-March 30, 2017. Random sampling technique was used and 462 sample size was deployed. The collected data was checked; coded and entered to Epi info 7.3 and exported to SPSS version 20 for further analysis. Bivariate logistic regression model used to determine the independent association of dependent and independent variables on the bases of COR; 95 percent of confidence level and significance level of 0.25 Those variables which had significance level of less than 0.25 transferred to multivariable logistic regression. Multivariable logistic regression also used to control the possible effects of confounder variables on the basis of AOR; 95 percent of confidence level and significance level of 0.05. Result: A total of 462 delivered mothers participated in this study which yields 100% response rate. The study finding showed that the proportion of adverse birth outcome among the study participants was 32.5%. Out of 462 births 8.2% were still birth, 16.7% were low birth weight, 15.2% preterm and 8.4% were with visible birth defects. The paper will examine on the roles of Social Welfare Pension Scheme to the elderly citizens of Sigatoka, Fiji. The study will discuss on the issues encountered by the elderly citizens. The Universal Declaration of Human Rights, the government of Fiji through its constitution formulates a policy called National Policy on Ageing. The ultimate aim of the government is a protective, healthy and enabling environment for elder persons. A qualitative data collection is employ in this paper to answer all the research questions. The study is conducted to 20 elderly citizens of Sigatoka district; province of Nadroga The study found out that there is a need for social improvement for an effective delivery of the Social Welfare Pension Scheme in Fiji. Objectives: To determine pattern of admissions and to study the types of illness and their outcomes in relation to disease at General Pediatric Ward at Benha Teaching Hospital (BTH). Subjects and Methods: This study was a retrospective study. The study was conducted from 1st of May 2016 until end of December 2016. The study was done in the General Pediatric Ward at Benha Teaching Hospital (BTH). The medical record of all admissions searching for age, gender, address, mode of admission, referral source, duration of hospital stay and outcome. Results: Mean +SD of Duration of stays in days was (7.90 +4.07). 28.2% of patients were admitted due to respiratory system related causes, 32.4% due to digestive system related causes, 6.5% due to cardiac system related causes, 6.5% due to neurological system related causes, 1.2% due to hepatic system related causes, 5.9% due to nutritional system related causes, 14.7% due to renal system related causes,4.7% due to endocrinal system related causes. Conclusion: This study gives an overview of the pattern of Pediatric Medical admissions, catchment area and referral mode. The findings of this study increased the understanding of admission trends, referral area and source. Admissions load mainly contributed by under five years children with infection and they are directly approaching the Hospital.